"From the opening scene - the maids, in their thin flannel nightdresses, rising at dawn to prepare the family's morning tea - we are drawn irrestibly into the Cazalets' intimate world. In 1937, the coming war is only a distant cloud on the horizon. 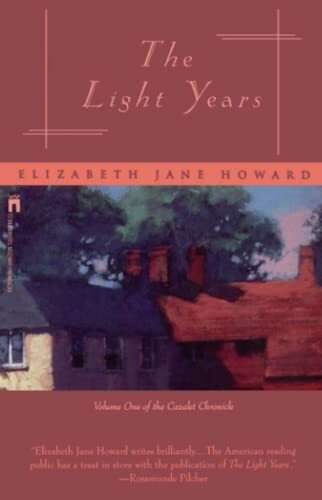 As the various Cazalet households prepare for their summer pilrimage to the family estate in Sussex, we meet bluff, hearty Edward, in love with but by no means faithful to his good wife, Villy; Hugh, wounded in the Great War, devoted to pregnant Sybil; Rupert, who worships the body if not the mind of his child-bride, Zoe; and Rachel, the spinster sister, conducting a desperate clandestine love affair under the family roof..."
Arrived home today to find this lovely book from my wish list had arrived. What a nice surprise, thank you Lorelei03! This is the first part of a trilogy that I have been waiting to find as I have the other two parts. I hope to be reading it soon. Well 8 years on I am now reading this on kindle so I will be passing this copy on to a friend.